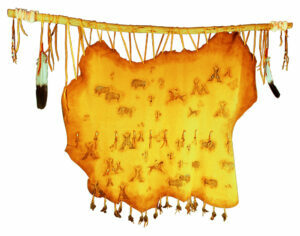 The Cayuse Hide Painting on deer skin by Patricia Wolf is a work of art with timeless appeal. Hides were painted by Indians to depict important events in their lives. This hide tells a story of a Brave riding his pony as he escorts 2 more ponies on a path to their destination. 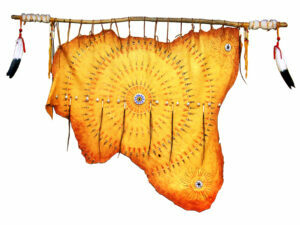 Sheep wool and beaded tassels are wrapped on a cedar stick, with a hide folded over the stick. Antiqued metal studs and a zig zag painted design line the edge of the flap. 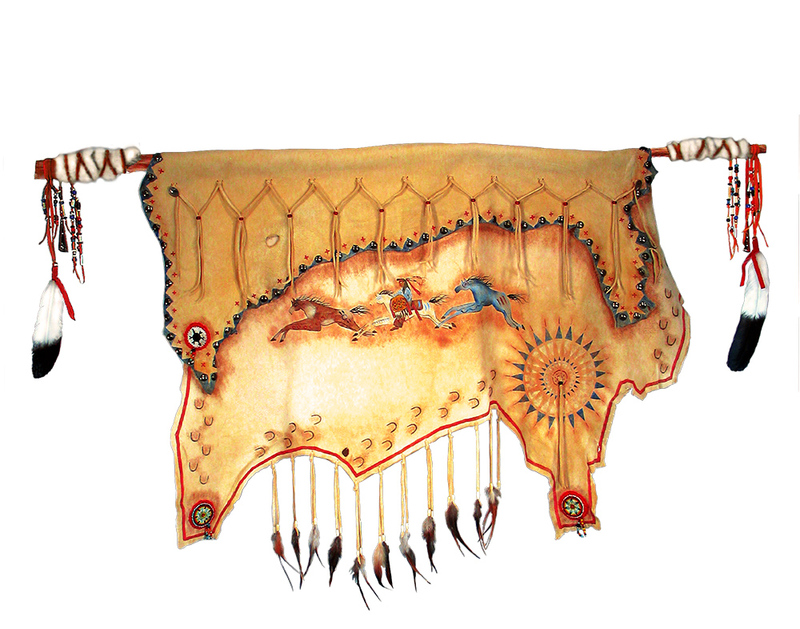 Beaded medalions and tassels accent painted hoof prints on the lower border, lead to a starburst design. Hide shapes vary. Stick measures approximately 56″and hide approximately 40″x 40″. Shown in smoke deer skin.